Side-note: Howard has scored all of M. Night Shyamalan’s films since their first collaboration on The Sixth Sense in 1999. 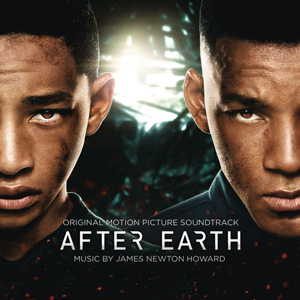 His versatility as a composer is apparent in AFTER EARTH, which contains adventure and action scenes, along with moving passages in a family drama, and an atmospheric universe of primal sounds that drive home the meaning of humanity’s eviction from, and eventual return to, planet Earth. 4/5 Now I am a fan of James Newton Howard, he doesn't let us down... though this score was okay it has some great tracks. I know everyone is bashing the film for it's lack of substance and I am sure other things, but I am lucky enough not having to talk about the film... just the score. So for a fan of scores, I feel I can safely say, there are a few good things to take away from this... it might only be the surviving item in 1,000 years? I watched the clip called "Canopy" and it had an almost tribal feel with the percussion instruments. He's good, so I can see why M. Night uses him.